1. 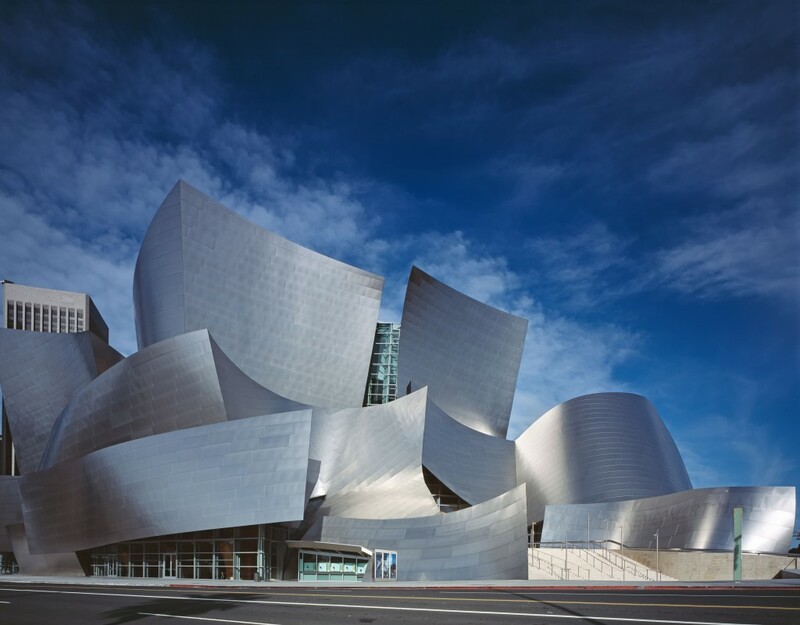 Disney Concert Hall (111 South Grand Ave, Los Angeles) - It is impossible to speak of contemporary architecture in Los Angeles without talking about Frank Gehry’s masterpiece, the Walt Disney Concert Hall in downtown Los Angeles. Even now, some 12 years after its opening, the building still looks like it was teleported from some utopian future. The sweeping metal exterior does little to bely the gorgeous and acoustically excellent wooden interior. Say what you will about Gehry, but the Disney Concert Hall earns him a place in the pantheon of great architects. 2. The Broad (221 South Grand, Los Angeles) - The Broad Museum in Downtown LA is a spectacular addition to what is already an incredible arts street. 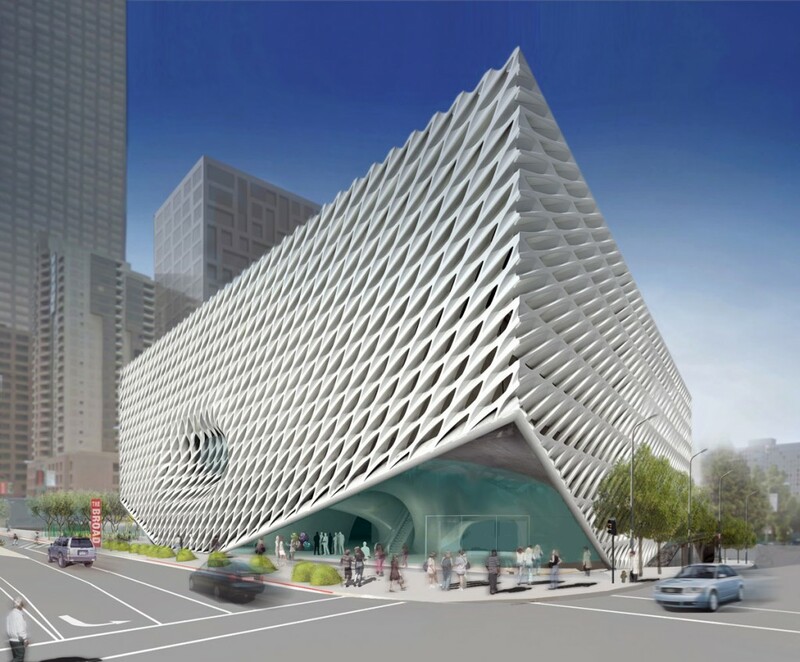 Situated near both the Disney Concert Hall and the Museum Of Contemporary Art (MOCA), the Broad still manages to stand out architecturally. The museum is wrapped, almost draped, in a white basketweave pattern with the entrance looking like the facade is being pulled up to let people in. 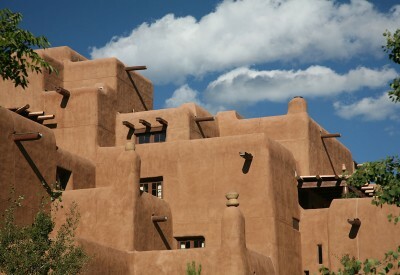 Also of note is an “ocu-lus” which should help fill the building with tons of natural light. The museum is slated to open this fall. 3. Emerson College (Sunset Blvd at Tamarind, Hollywood) - Emerson College has long been a breeding ground for some of Hollywood’s best writing talent, so it’s only fitting that the Boston institution should build a Los Angeles satellite campus. 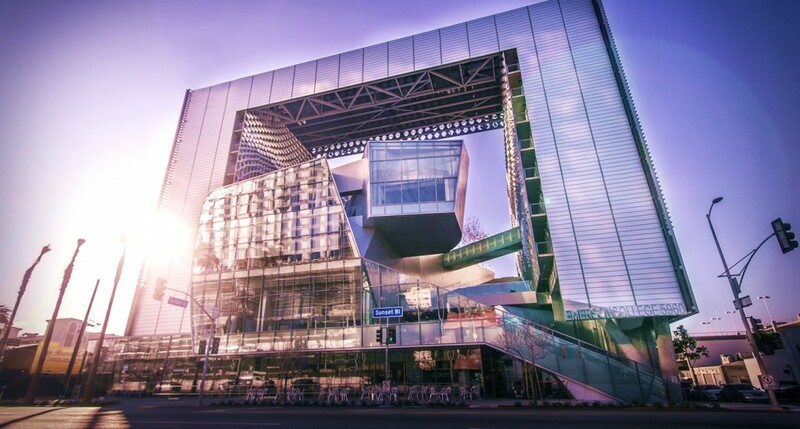 The new building in Hollywood was designed by noted architect Thom Mayne and his firm Morphosis. The striking structure is unlike anything else in Los Angeles and represents arguably the most attractive new building to hit the city since the Disney Concert Hall. Photo courtesy of The Petersen Automotive Museum. 4. Petersen Museum (6060 Wilshire Blvd, Los Angeles) - Even though it’s not totally finished with its grand redesign, we feel that the Petersen’s dramatic new exterior deserves a place on the list. The building, originally designed by Welton Becket for the Seibu company in the 1960s, was never a great beauty, particularly when contrasted with the new BCAM building at LACMA across the street, but the new look should be able to hold its own even in such heady company. The ribbon design does a fantastic job of conveying speed and motion and reminds us of the famous Spirit of Ecstasy, usually found on the nose of a Rolls Royce. 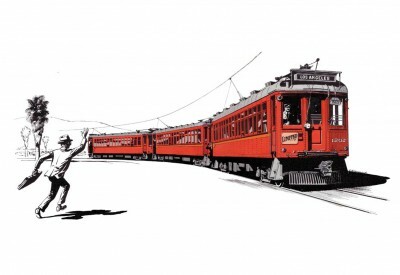 The museum reopens in December, check it out. 5. 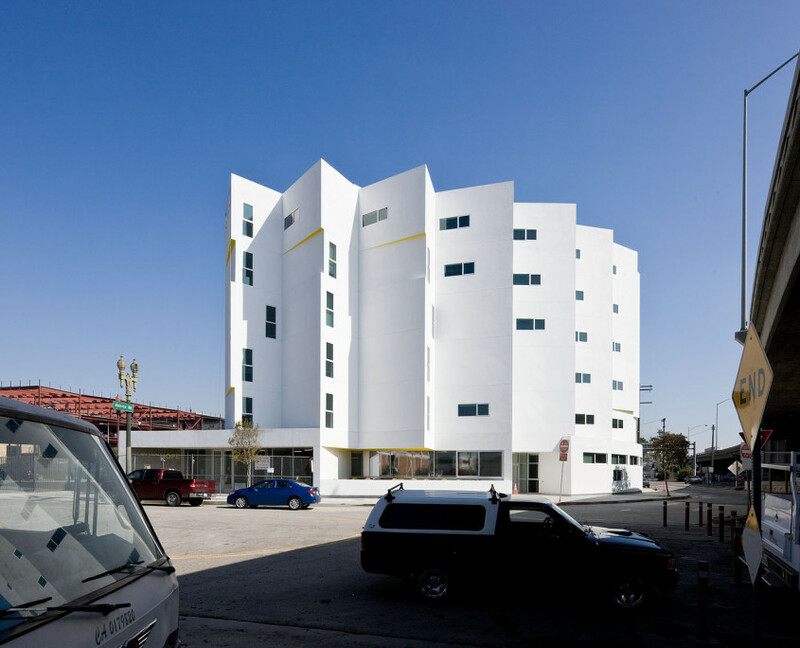 The New Carver Homes Apartments (Skid Row, Los Angeles) - There is no arguing that Los Angeles is currently neck deep in a housing crisis at the moment. The costs of renting any-where in the city are quickly spiraling out of control and this forces many people and families onto the streets. The New Carver Homes apartments are an attempt at providing affordable housing to those most in need. The building is made up of 96 units, each a studio with a small kitchen, built around a central courtyard space. The New Carver Homes Apartments offer the disadvantaged a place to get back on their feet with things like wifi, laundry facilities, etc. and does so without managing to look like a prison. It’s a win/win.